Stay dry, comfortable and ready to work. 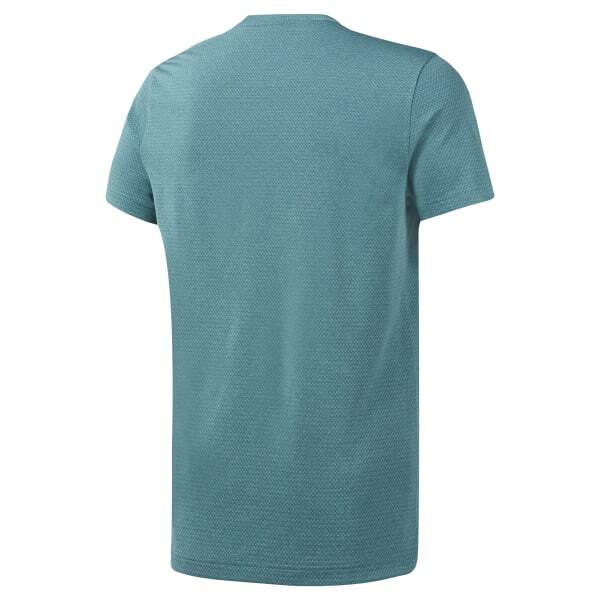 This men's t-shirt is made with Speedwick fabric that sweeps sweat away from your skin as you conquer your training session. The lightweight textured tee has forward-shifted seams to decrease chafing while you log big miles or put in extra time at the gym.